Hello INTERNET friends it is my hope to share with you some of my life experiences and struggles to find reason truth meaning and purpose for our existence. I have had deep and profound experiences that could be called mysterious or mystical. I have life long insatiably researched into every religious thought both esoteric and conventional. I like to believe that I am an original thinker and would also like to communicate and receive philosophical, metaphysical, esoteric, astrophysics, astronomical truths. I created this site for us to dialogue and debate if interest is shown. I do not make money out of my experiences, I would even go as far as stating that asking for money through my essays and writings is wrong even immoral. I am also knowledgeable is the sciences, such as astronomy, physics, and mechanical engineering in heavy industry. I have read thousands of books on every topic one could think of. My real love, was/is Science fiction of which I have read since I was a boy of seven or eight. I am much into the near death phenomenon and out of body experiences of which I have both and I am more than willing to share. during my long career at the South African Electricity Supply Commission ESKOM,, such as Industrial/Mechanical Engineer/ Business& System Analyst/IT Manager/Project Planner/Maintenance Planning Officer/Senior Information Officer and much more. 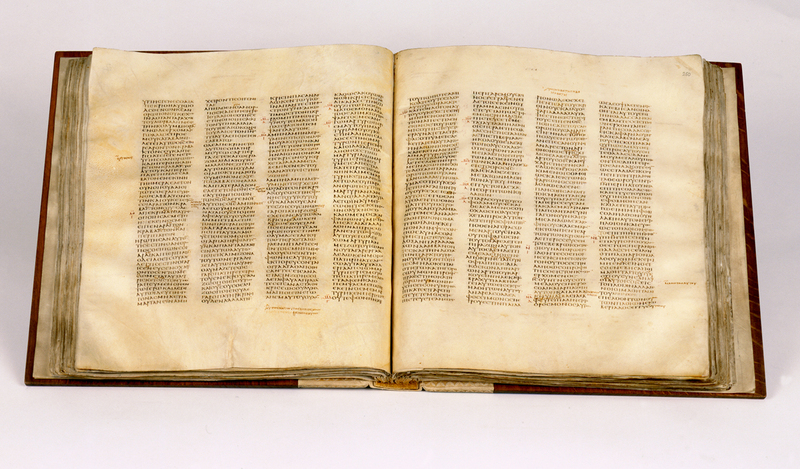 What does 'Codex Sinaiticus' mean?